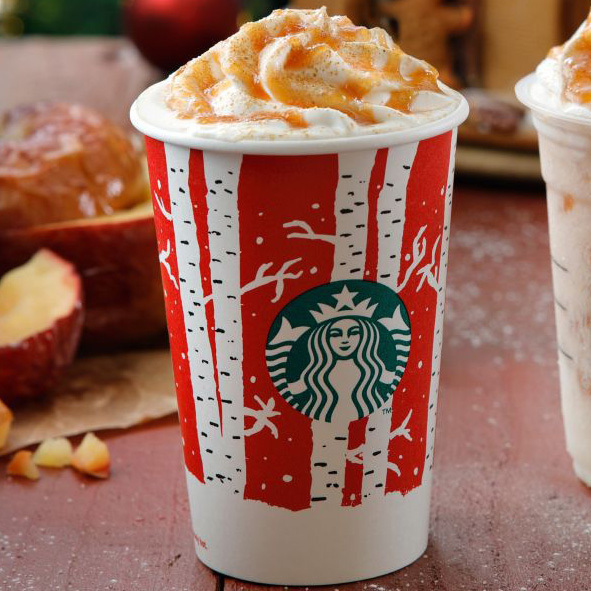 Starbucks officially deserves a spot on Santa's Naughty List this year. After news of a Hot Baked Apple latte and Baked Apple Frappuccino broke, we felt all kinds of excited, elated and even jolly. The idea of our favorite Amish dessert in liquid form sounds – quite frankly – like holiday heaven on earth. Or at least an excuse to be ten minutes late to work every morning in December. You can imagine our seething anger upon learning that the specialty drink will be available only to Japan. Can someone please explain why the most American of flavors has no place on our local menus? Need we remind the coffee giant that a Spiced Sweet Cream COLD Brew does not exactly read as the most wonderful time of the year? In fact, it only reminds us of the worst part of the most wonderful time of the year: icy temperatures. We're not ones to place blame on a single person, but since he's already one foot out the door, this has got to be entirely CEO Howard Schultz's fault. Sayonara, buddy!